Blossom Goodchild for the Galactic Federation of Light, March 10, 2018. Hello my friends. Well, once again the internet is a’glow with talk of THE EVENT arriving shortly. Your last channelling spread far and wide and folk are excited to receive the next enthralling episode! I shall leave it up to you as to how this communication flows. I have a question if I may? Some say that many unawakened souls will be taken aboard ships when this Event takes place … in order to heal and prepare etc. for the Higher Vibration upon Earth … and then to be returned. Whereas, another source says that we will be moving through the veil (sort of thing) and going elsewhere. What is your take on all this? Indeed. Yet, within that change everything is the same … only felt and viewed differently. Once the dust has settled down … things will appear to be different and yet, they are not. The soul-self will be very different and therefore, ‘seeing’ things in a different Light. Much of what we are to say we have mentioned before … over the years. Sorry to but in, yet, that’s what makes me a little sceptical. Not about it ever happening, for I KNOW it will … one day. More so, about the timing. With respect, we have been hyped up about this particular matter so many times before. Of this we are aware. Blossom. Yet, as you have said … ONE DAY it WILL take place and that ONE day is fast approaching. Keeping in mind this word ‘fast’ is much like the standard ‘soon’. I don’t mean to be a doubting Thomas … only, this pathway has been trodden many times! Please continue. There will be a display such as your eyes have never feasted upon before. How long will it go on for? Whah! I thought you were going to say a few hours at most. The display will be intermittent as /of itself, in order to maintain stability for those experiencing it … in/on its different levels. It is important to know that the ENERGY it brings will be received on different levels … due to the different levels. Vibrational frequencies that one has been living within … within themselves. We have said that some will be unable to deal/cope with such an enormity of ‘wave structure’ and their decision will be to leave the Planet and continue on viewing and being a part of it from ‘elsewhere’. Will that be many or just a few? We cannot say … for it is a momentary decision on the part of each individual as to whether to stay or leave. Surely, most will want to stay? We have been waiting long enough for it to happen. Why duck out at the magical moment? Because not all have allowed themselves or, chosen to … become aware of such an EVENT taking place and the ‘surprize to the uninitiated in this knowledge will literally ‘scare them to death’. Struth … that’s a bit harsh! Not at all. Their ‘passing’ will not be severe. It will be so gentle for it can be nothing else, due to the Love available at the time. Many have ‘signed up’ to do their work AFTER The Event and SO MANY, as you know Blossom, are READY AND WAITING and have been doing so patiently, for so long … so that they can DO what they came here to DO. 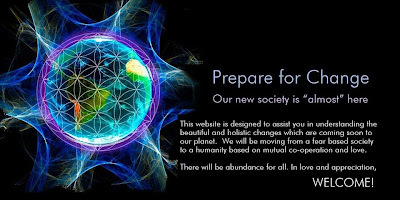 There will be so many lost souls … looking/seeking out … the ‘ONE’S’ who have prepared in advance for this ‘Coming’. And they shall be found because of the Light that pulses from then. As we have said before … LIKE A BEACON … letting souls know where they are. Not one soul shall be unaccounted. You/We are all in this together. In the sense of HIS ENERGY BEING PART OF IT. Many many souls of THE HIGHEST ORDER/PLACEMENT will be there to see it through. They are there to safeguard the experience by holding the Light … by anchoring it … as best they can. NEVER BEFORE HAS THIS TAKEN PLACE. Although it has been a main topic for eons … there is still the unknown within it. There are so many questions I don’t know where to begin. Will there definitely be a black out? Unknown! There is a huge possibility of this. Yet it … will not be/cannot be … of the ‘scary’ variety. The FEELING that ‘hits’ you … the WAVE OF LOVE that … hits you/washes over you … is like nothing you have come close to. Therefore, if the ‘power’ was to blow a fuse for a short while … even days possibly … there would not be a feeling of dread. One will BE IN SUCH BLISS in the KNOWING that LOVE IS ALL and the CHANGE HAS OCCURRED …that a small thing like that … if it happens … will be of no concern or consequence. We cannot give time limits as you understand and yet … there will be no interest in your computers , so it matters not if they work or not. There will be no interest in stock markets or financial systems… there will be no interest in ANYTHING other than the FEELING YOU ARE FEELING and walking around in a daze … acknowledging one another. Reassurance from the ‘knowledgeable’ will be given and as the initial POWER OF THE EVENT subsides a little … one will begin to ‘come round’. I just realised we didn’t talk about some going in ships to recoup? What we would say about this, is that it is a possible plan … depending on what affects who and how many. There are many ‘possible plans’ in place. Yet, we would say … this is in the aftermath days … not DURING THE HAPPENING. What other possible plans are there? Definitely the co-joining of worlds! Beings from other ‘places’ will become common place to meet and greet over time. Will there be ships in the skies during The Event? The power of this EVENT is too strong for any craft to be airborne. Will it be EVERYWHERE? In the skies in every country? What about our airplanes? There are always many in the skies at any given time. They will be disabled before take-off. We would say that ‘Awareness signs’ will be in place leading up to THE EVENT. These vary greatly. Yet, one will be of electrical ‘outs’. Electrics will be greatly affected as the lead up to THE SHOW begins! Inwardly, on a personal level, one’s heart will FEEL it coming. The ENERGY of it is so powerful … that one cannot not KNOW something is about to take place. Many will FEEL they are experiencing the beginnings of a heart attack. Not so … just the HIGHER VIBRATION saying hello. It will be of the upmost benefit to breathe deeply before during and after. IF THERE IS ANYTHING OF MOST VALUE TO PASS ON IT WOULD BE TO TELL OTHERS TO BREATHE THROUGH IT. Will it be scary? The unknown can be! For some, yes. For they will think the world is ending. Far from it, Dearest souls. We would say, it is just beginning … once again. Such wonders are to be witnessed. It is so very exciting. Not only is your internet a glow/a buzz … your Universe is exuding such JOY at the very prospect. I know we are near the end of the session yet, one more thing. Is this EVENT anything to do with why so many are feeling so desperate, so … What the …. ? Many tears, many ready to give up and go home. Surely we should be feeling the opposite if it is drawing so near? The final blows are being released. Remember, you are dissipating Energy for the whole … not just yourself. We would liken it to a purging of the ruthless undertakings from lost and weakened souls. Those who are sensitive to all Energies are working as an individual, yet doing it for THE ONE. We are aware there is so much to speak of, yet, we remind souls of White Cloud’s metaphor wherein … it is best to eat just a few squares of chocolate at a time, rather than the whole block, which leaves one feeling exhausted and lethargic … blown out … wishing they had just taken in a little bit at a time … leaving space to digest before taking in any more. On that note then, I shall take my leave. Really not knowing what to think about it all. May we suggest that when you think about it … KNOW it is for/from the HIGHEST GOOD OF ALL and as it is in DIVINE TIMING … it will BE at the perfect time. ALL IS INDEED VERY WELL. Please revisit The Invocation ‘We are the Game Changers‘ whenever the mood takes you … to keep the Energy as HIGH as we can.